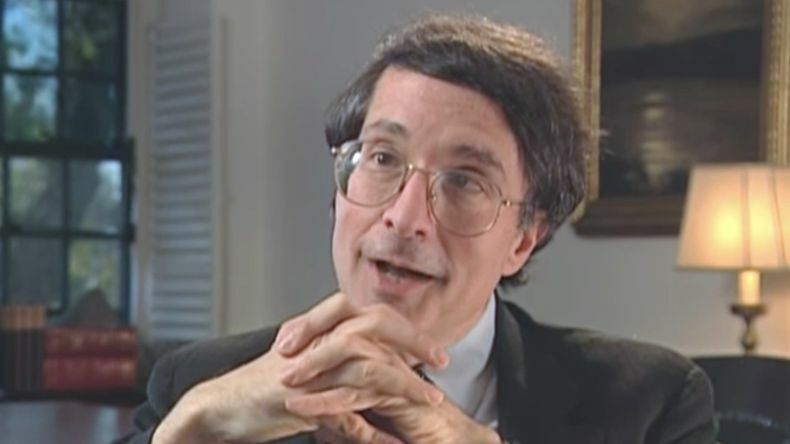 Edutopia revisits its 1997 interview with the Harvard University professor about multiple intelligences and new forms of assessment. Howard Gardner is the John H. and Elisabeth A. Hobbs Professor in Cognition and Education at the Harvard Graduate School of Education. He also holds positions as adjunct professor of psychology at Harvard University and as senior director of Harvard Project Zero. He has written 20 books and hundreds of articles, and is best known for his theory of multiple intelligences, which holds that intelligence goes far beyond the traditional verbal and linguistic and logical and mathematical measurements. Here he discusses student-directed learning, multiple intelligences, and a different approach to assessment. This interview was conducted in 1997. To learn more, please see this 2018 article on some common misunderstandings about multiple intelligences theory and learning styles. 1. On the importance of engaging students actively in what they’re studying: We have schools because we hope that someday when children have left schools that they will still be able to use what it is that they’ve learned. And there is now a massive amount of evidence from all realms of science that unless individuals take a very active role in what it is that they’re studying, unless they learn to ask questions, to do things hands-on, to essentially re-create things in their own mind and transform them as is needed, the ideas just disappear. The student may have a good grade on the exam, we may think that he or she is learning, but a year or two later, there’s nothing left. 2. On the characteristics of student-directed learning: If, on the other hand, somebody has carried out an experiment himself or herself, analyzed the data, made a prediction, and saw whether it came out correctly, if somebody is doing history and actually does some interviewing himself or herself—oral histories—then reads the documents, listens to the interviews, goes back and asks further questions, writes up a paper—that’s the kind of thing that’s going to adhere. Whereas if you simply memorize a bunch of names and a bunch of facts, even a bunch of definitions, there’s nothing to hold on to. 3. On the theory of multiple intelligences: The idea of multiple intelligences comes out of psychology. It’s a theory that was developed to document the fact that human beings have very different kinds of intellectual strengths and that these strengths are very, very important in how kids learn and how people represent things in their minds, and then how people use them in order to show what it is that they’ve understood. 4. On technology and multiple intelligences: If we know that one child has a very spatial or visual-spatial way of learning, another child has a very hands-on way of learning, a third child likes to ask deep philosophical questions, the fourth child likes stories, we don’t have to talk very fast as a teacher. We can actually provide software, we can provide materials, we can provide resources that present material to a child in a way in which the child will find interesting and will be able to use his or her intelligences productively and, to the extent that the technology is interactive, the child will actually be able to show his or her understanding in a way that’s comfortable to the child. 5. On the need for fundamental change in the curriculum: I think that we teach way too many subjects, and we cover way too much material, and the end result is that students have a very superficial knowledge—as we often say, a mile wide and an inch deep. Then once they leave school, almost everything has been forgotten. And I think that school needs to change to have a few priorities and to really go into those priorities very deeply. Let’s take the area of science. I actually don’t care if a child studies physics, biology, geology, or astronomy before he goes to college. There’s plenty of time to do that kind of detailed work. I think what’s really important is to begin to learn to think scientifically. To understand what a hypothesis is. How to test it out and see whether it’s working or not. If it’s not working, how to revise your theory about things. That takes time. There’s no way you can present that in a week, or indeed even in a month. You have to learn about it from doing many different kinds of experiments, seeing when the results are like what you predicted, seeing when they’re different, and so on. But if you really focus on science in that kind of way by the time you go to college—or, if you don’t go to college, by the time you go to the workplace—you’ll know the difference between a statement that is simply a matter of opinion or prejudice and one for which there’s solid evidence. 6. On how assessment in school differs from assessment in other arenas, such as sports or music: The most important thing about assessment is knowing what it is that you should be able to do. And the best way for me to think about it is a child learning a sport or a child learning an art form because it is completely unmysterious what you have to be to be a quarterback or a figure skater or a violin player. You see it, you try it out, you’re coached, you know when you’re getting better, you know how you’re doing compared to other kids. In school, assessment is mystifying. Nobody knows what’s going to be on the test, and when the test results go back, neither the teacher nor the student knows what to do. So what I favor is highlighting for kids, from the day they walk into school, the performances and exhibitions for which they’re going to be accountable. 7. On the need for a new approach to assessment in schools: Let’s get real. Let’s look at the kinds of things that we really value in the world. Let’s be as explicit as we can. Let’s provide feedback to kids from as early as possible and then let them internalize the feedback so they themselves can say what’s going well, what’s not going so well. I’m a writer, and initially I had to have a lot of feedback from editors, including a lot of rejections, but over time, I learned what was important. I learned to edit myself, and now the feedback from editors is much less necessary. And I think anybody as an adult knows that as you get to be more expert in things you don’t have to do so much external critiquing; you can do what we call self-assessment. And in school, assessment shouldn’t be something that’s done to you, it should be something where you are the most active agent. 8. On what needs to happen for change to occur in public education: I think for there to be long-standing change in American education that is widespread, rather than just on the margins, first of all people have to see examples of places that are like their own places where the new kind of education really works, where students are learning deeply, where they can exhibit their knowledge publicly, and where everybody who looks at the kids says, “That’s the kind of kids I want to have.” So we need to have enough good examples. Second of all, we need to have the individuals who are involved in education, primarily teachers and administrators, believe in this, really want to do it, and get the kind of help that they need in order to be able to switch, so to speak, from a teacher-centered, let’s-stuff-it-into-the-kid’s-mind kind of education to one where the preparation is behind the scenes and the child himself or herself is at the center of learning. Third of all, I think we need to have assessment schemes that really convince everybody that this kind of education is working. And it’s no good to have child-centered learning and then have the same old multiple-choice tests that were used 50 or 100 years ago. Finally, I think there has to be a political commitment that says this is the kind of education that we want to have in our country, and maybe outside this country, for the foreseeable future. And as long as people are busy bashing teachers, or saying that we can’t try anything new because it might fail, then reform will be stifled as it has been in the past.